Group Exercise participants must be 12 years or older. The Stoney Point YMCA facility houses a six-lane, 25-yard pool. The facility also offers Child Watch, which is free to members, cycling, group exercise (free to members) and a Health and Wellness Center with Cybex resistance machines, free weights, and cardiovascular equipment by Precor. Enjoy watching TV while you work out! 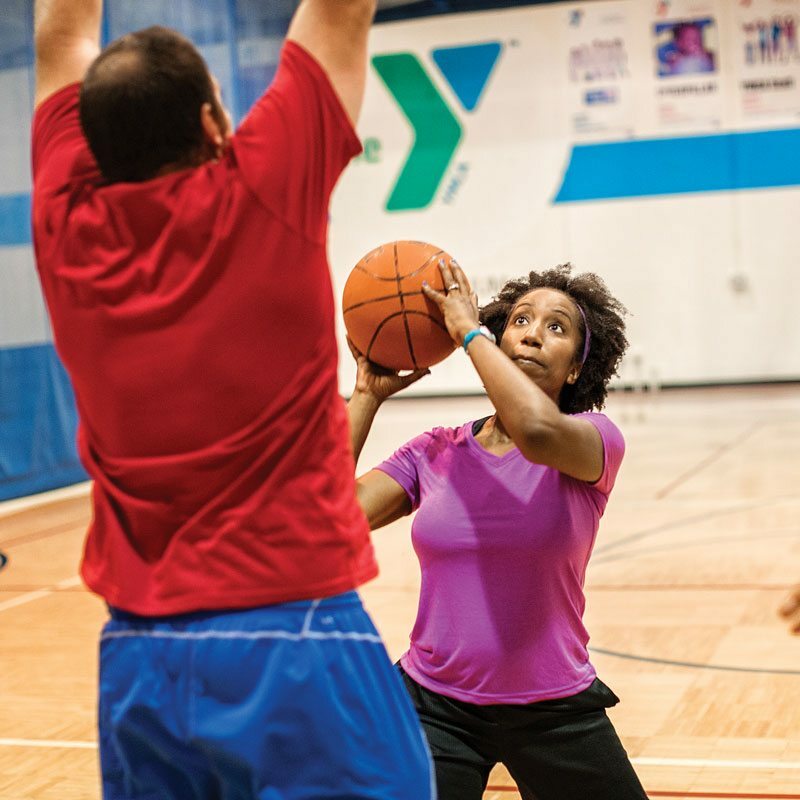 The Stoney Point YMCA’s gymnasium has two basketball courts. Outside the facility are soccer and ball fields. Watch the video tour of this branch, above right.